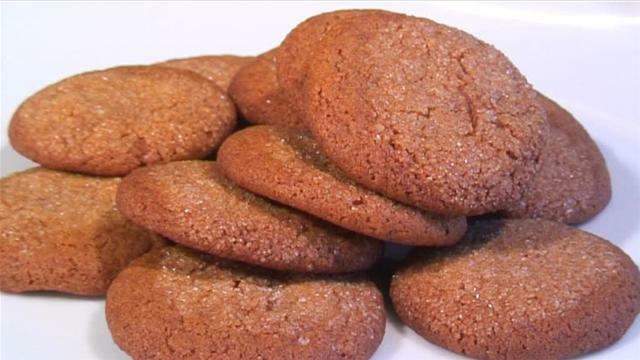 My cousin shared my Grandmother's Gingersnap recipe with me earlier this year, and I am so excited to make if for the holidays this year! I thought you might enjoy it as well! Don't you just love making the recipes your parents and grandparents made? Handing them down through the generations? It's the simple things that really connect the heart to our ancestors isn't it? I sure miss my grandmother and this recipe just brings back memories of such a wonderful woman who blessed my life. What recipes has your family handed down? Measure and sift dry ingredients. Cream sugar, shortening and margarine. Add unbeaten eggs and molasses and mix. Add dry ingredients and mix until a uniform dough forms. When ready to bake, form dough into small balls and roll in sugar. Place cookie balls on ungreased cookie sheet. Bake for 8-10 minutes. Grandma's recipes are definitely best! These cookies sound delicious! Grandmas recipes always have the secret ingredient of LOVE, and that makes all the difference!